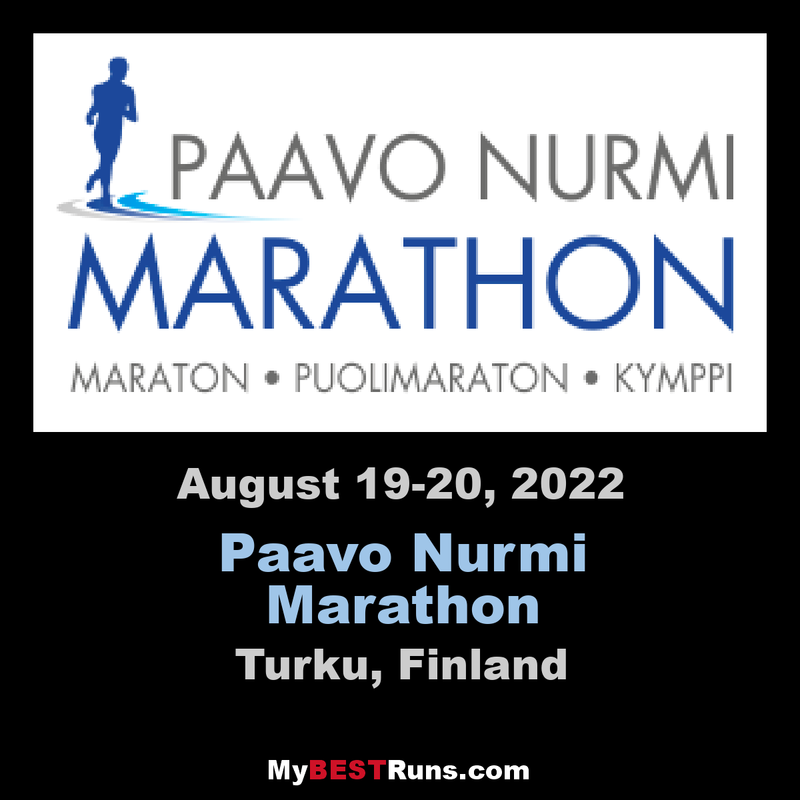 Paavo Nurmi was a Finnish runner who achieved nine Olympic gold medals and three Olympic silver medals during his career.In the 1925 American tour, Nurmi ran 22 IAAF World Records and 29 unofficial World Records. Paavo Nurmi was born in Turku on June 13, 1897 and started his great career in the 1910s.He represented throughout his career Turku Sports Federation, which has been organizing a sports competition for the honor of Paavo Nurminen from this 60th anniversary (13.6.1957). 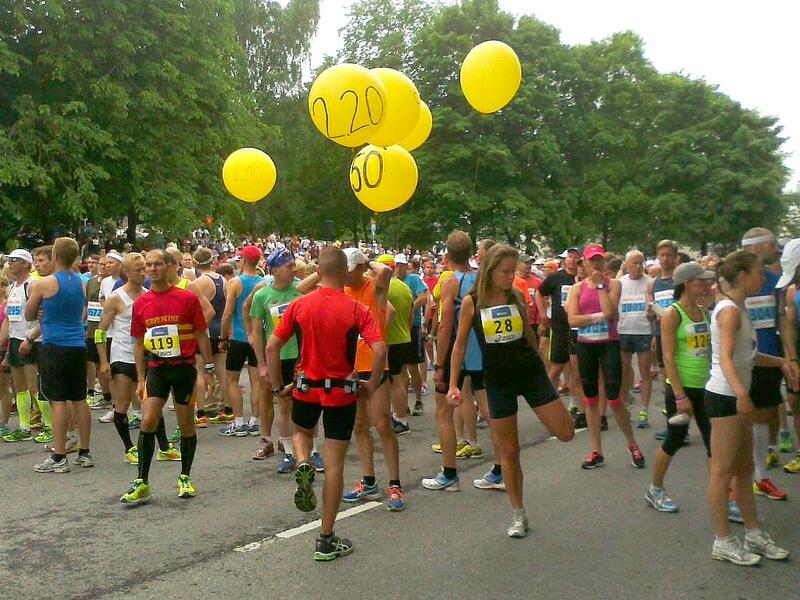 The first Paavo Nurmi Marathon was held in 1992. The idea matured earlier by the organizers was inspired by the veteran World Championships held in Turku in 1991.An organizing committee was required to organize an international 1000 veteran runner-up marathon, so naturally there was now also a resource for the annual marathon event.The event's Secretary-General Pirkko Martin suggested that the event bears the name of Paavo Nurm.The permission to use the name was requested by Nurme's son, Matti Nurmi.The obtained permission was the last thing for the Turku Sports Federation to start with Paavo Nurmi Marathon. 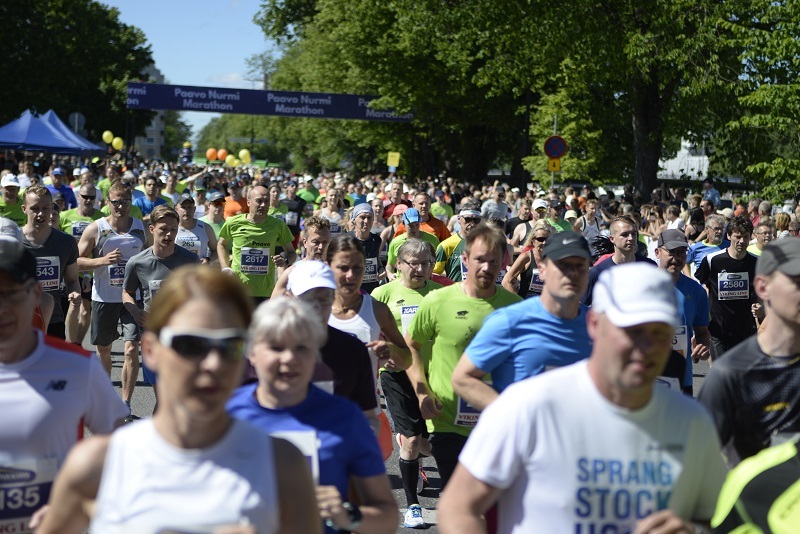 The first Paavo Nurmi Marathon had about 1000 participants.Thereafter, the number of participants grew steadily up to 1997.That year was a jubilee year, for 100 years after the birth of Paavo Nurme.The event was attended by more than 3,000 participants, of which nearly 1,000 registered during the last week.The rapid increase in the number of participants led to evolving changes for the next year's event, as the party event proved to be just a bit too great for the organizers with the current resources. Pirkko Martin worked as the Secretary General of the Event in 1992-2001.He had good knowledge of international athletics because of his sports career.He has won a number of World Championships and European Championships for veterans from 800 and 1500 meters.From his marathon experience, he applied for a New York City Marathon in 1989. Martin collected information and experiences from abroad, and went to major marathon events to market a new event in Turku.According to Martin, the city of Turku was willing to cooperate with the event from the very beginning.Sure Turku also benefited from the popularity of the name of Paavo Nurm's name in the new ears.